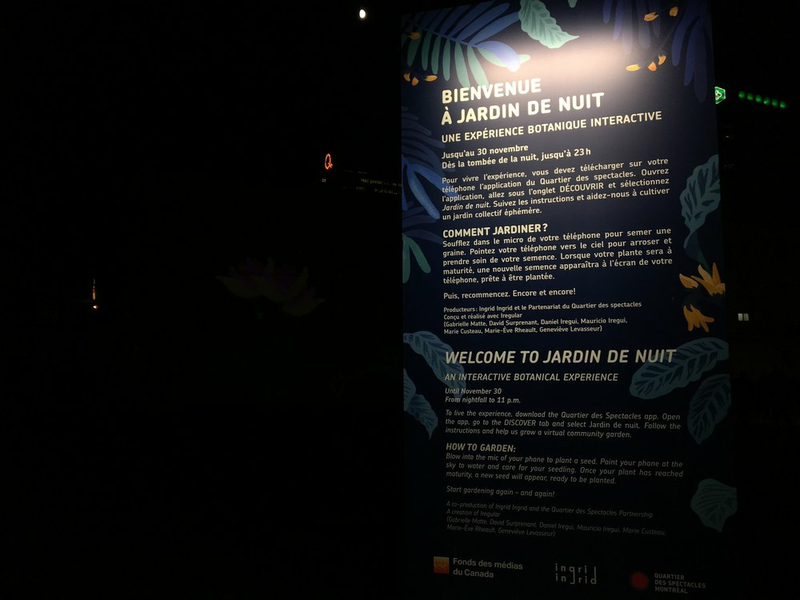 Night Garden is a virtual and interactive community garden. You first have to plant a virtual seed, then care for the seedling to help it grow. Water it well, but be careful! Too much rain could drown your flower, and other people’s too! 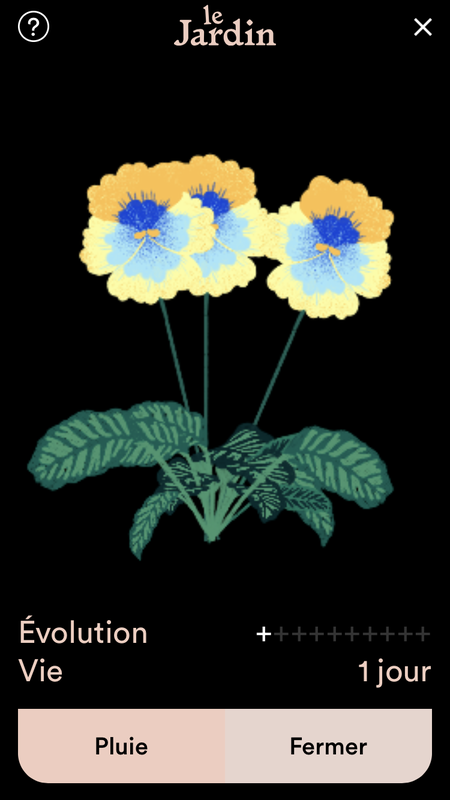 Yes, the flower dies at some point but you can plant as many flowers as you wish. Night Garden is not a game per se. It’s a playful and visually stunning experience that invites passers to interact with the garden. It’s also an experience for the ears; each tableau has its soundscape and each action a synchronised sound. The mobile phone becomes almost a soundtoy, a musical instrument. The interactive experience is very simple; it’s taylor made for locations where people are in transit, waiting to meet somebody else or not that familiar with complexe interactive experiences. A user can extend their experience by planting many flowers, multiple times. The deeper meaning of the Night Garden and our main goal is to reintroduce the notion of “taking care” on a urban and community level. We hope that Night Garden can remind us that the quality of our environment depends on each one of us.